Benjamin Franklin Pinkerton - the faithless young naval lieutenant who abandons Madam Butterfly - was glimpsed fleetingly in Peter Rushforth's previous novel, Pinkerton's Sister. Now Ben steps out of the shadows and into the centre of the stage, a young man haunted by the desolation of his boyhood years, unable to show or respond to love. He's about to sail for Japan. But his imminent departure conjures up the life he and his sister have led, and the monstrous act for which he is most remembered: the rejection and destruction of a pure and loving heart. What happened to him then will mark his whole life. He is his own man, but he is also his sister's brother. Once again, in his mastery of language, his extraordinary imagination, his superb sense of time and place, Peter Rushforth has given the world a second masterpiece, ranking alongside, or surpassing, his earlier triumph. Peter Rushforth's first novel, KINDERGARTEN, won the Hawthornden Prize. He left his job to write his second novel, PINKERTON'S SISTER, which took him twenty-five years to write. 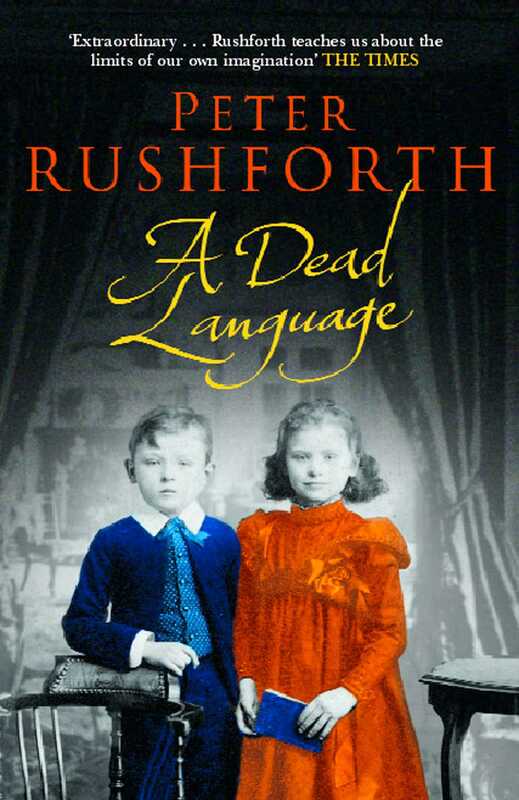 Peter died in September 2005, six months before A DEAD LANGUAGE was published in hardback.